Wentz threw for 268 yards and ran for a career-best 63 after a shaky start to lead the NFL-best Eagles (6-1) to their fifth straight win. But the victory was costly because Peters was carted off the field with a knee injury in the third quarter. Kirk Cousins had 303 yards passing and three TDs for the Redskins (3-3). Cousins tossed a 7-yard touchdown pass to Chris Thompson to give the Redskins a 10-3 lead. 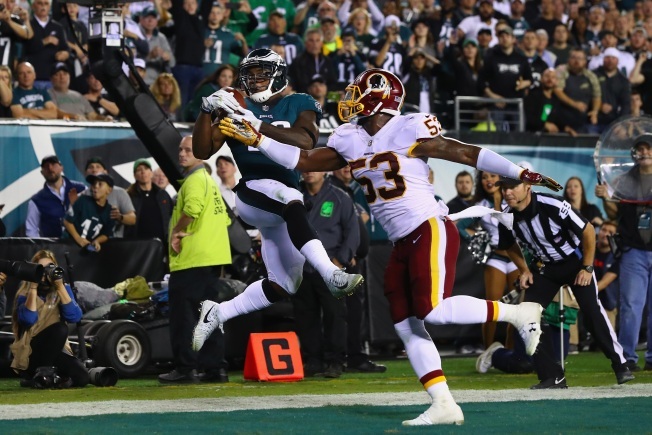 He connected with Jordan Reed on a 5-yard TD to cut the deficit to 24-17 and threw a 12-yard pass to Reed to cap the scoring. Eagles: LB Jordan Hicks (ankle) got hurt on the first series. Peters was replaced by Halapoulivaati Vaitai.